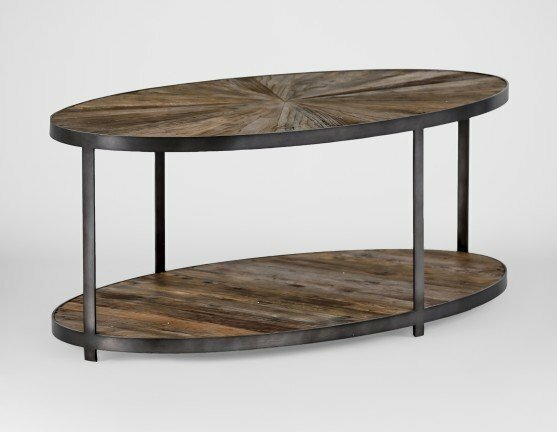 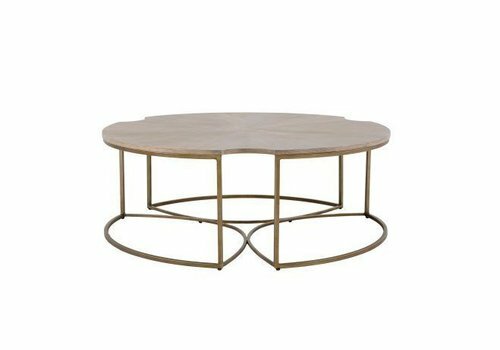 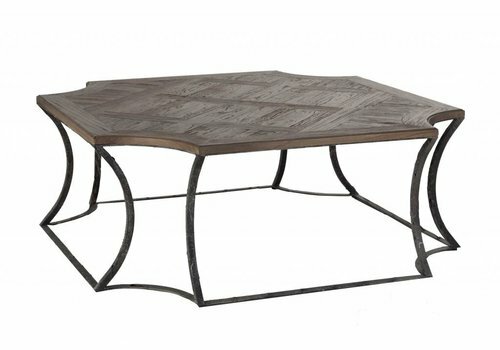 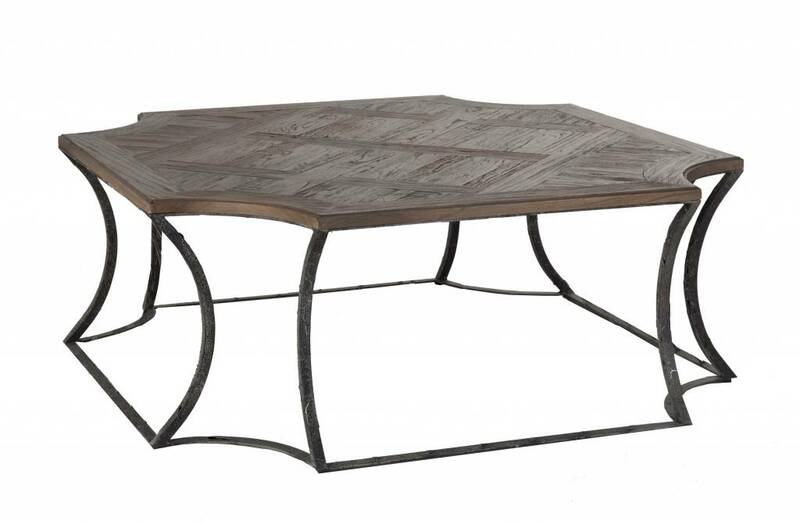 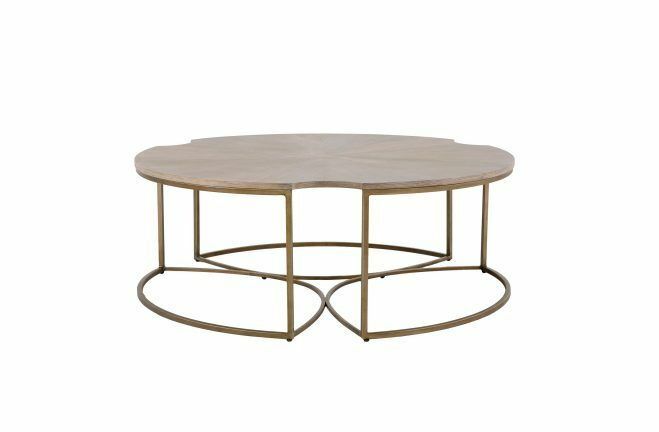 The Ronald oval sunburst barn wood & black iron coffee table is crafted of flat iron and re-purposed barn wood. 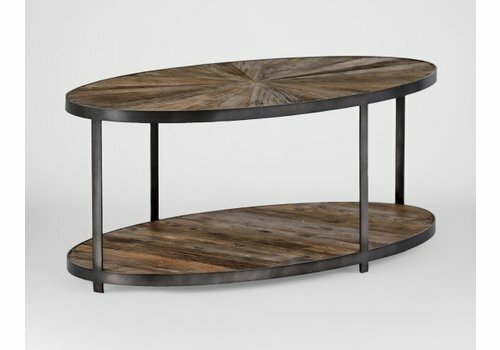 Measures 27.5 inches across and 47 inches wide. 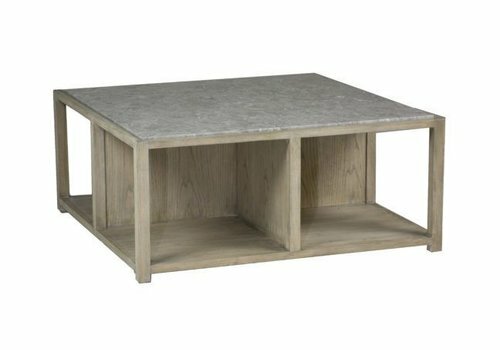 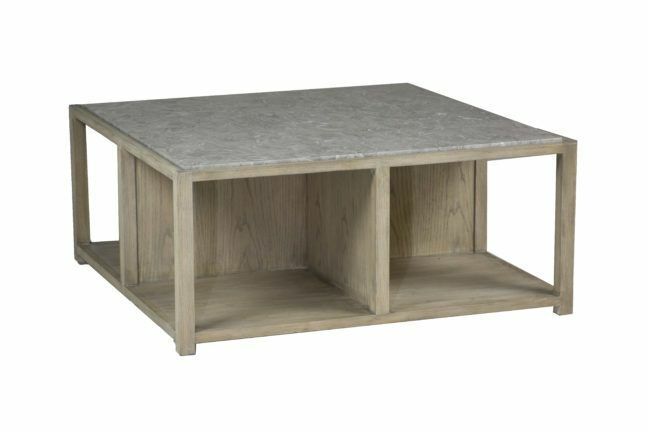 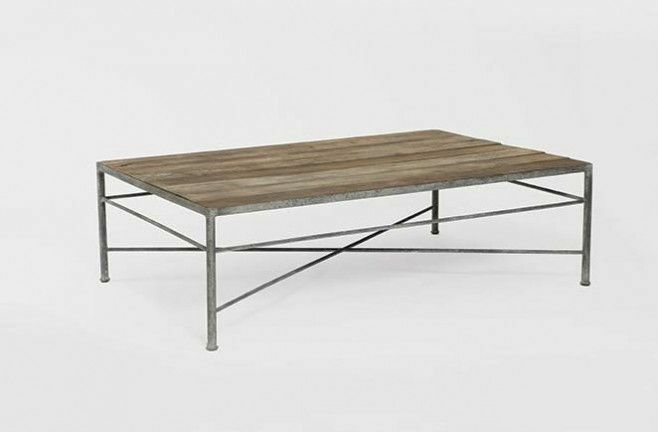 This rustic, yet transitional reclaimed wood coffee table, features a recycled wood elm top. 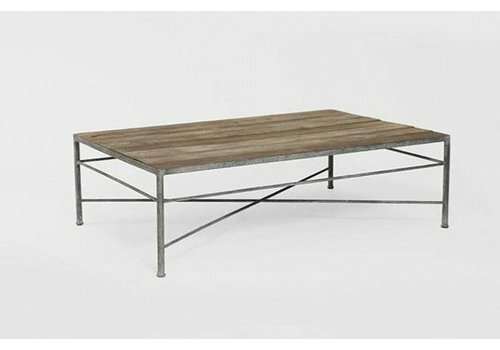 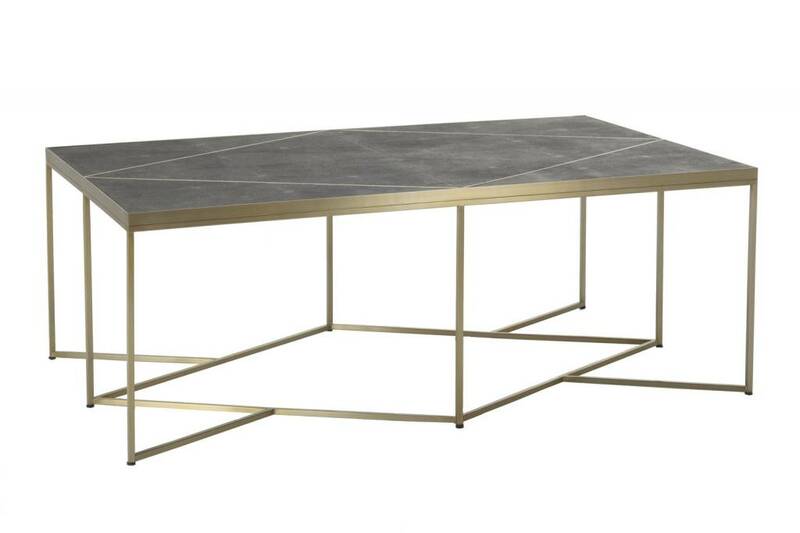 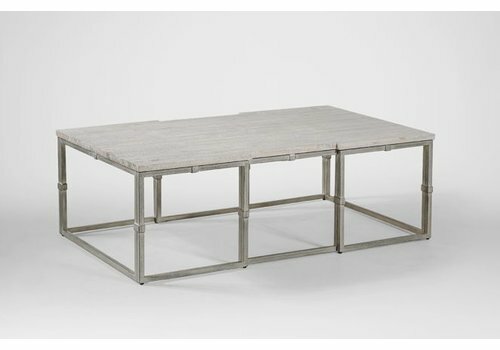 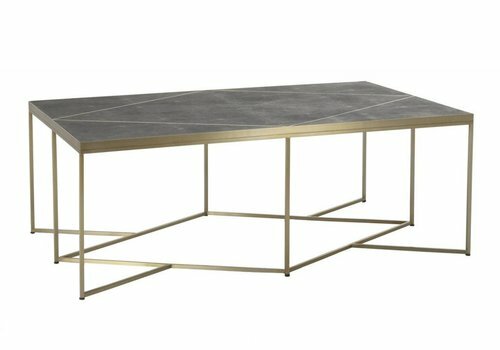 The metalwork, inspired by rusted, antique industrial piping, has a rusty grey finish.